Hailed as the world's greatest living violinist, Maxim Vengerov is one of the biggest names in the classical music world. Now as the 2017 Artist-in-Residence for Queensland Symphony Orchestra, he will bring his international starpower to the QPAC stage in a series of performances. 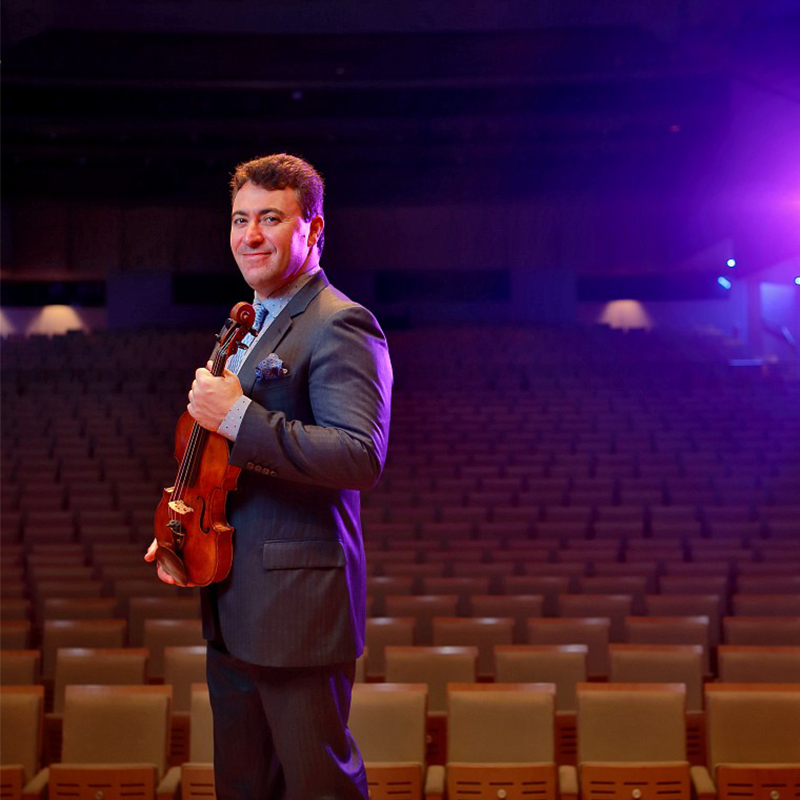 There’s more to violinist Maxim Vengerov than meets the eye. At just five years old he was identified as a child prodigy and he became internationally recognised at the age of 15, when he won the esteemed Carl Flesch International Violin Competition. So just how did Maxim come to be playing the violin at such a young age? Maxim’s parents were both professional musicians and he has admitted that he chose the violin as a young boy becuase it was the instrument he had the best view of while watching his father during orchestra rehearsals. He also recalls being instinctually drawn to it over the piano – and from that point onwards his star began to emerge. Following his lauded Tchaikovsky Gala concert last year, Maxim’s return to the stage with Queensland Symphony Orchestra has been highly anticipated. He will perform his first solo concert hall recital in Queensland on Thursday 23 February at QPAC. And before this event, fans can get to know Maxim a little better when he joins Queensland Symphony Orchestra’s music director Alondra de la Parra in conversation on Wednesday 22 February. He began studying violin at five years old and performed his first concerto with an orchestra when he was six. In 2004 he won the Grammy Award for Best Instrumental Soloist(s) Performance (with orchestra) and he also played at the Grammy Awards when he was just 21 years old. He once hang-glided off a Swiss mountain while playing the violin. He plays a 1727 ex-Kreutzer Stradivarius violin, which is believed to be one of the top 20 in the world. He was the first classical musician appointed as a UNICEF International Goodwill Ambassador.